Throughout eons of human history, a handful of incredibly gifted people have defined the parameters of what represents art: The transmutation of thoughts into physical things that render mere mortals breathless by the creations of these geniuses. So step into the musical world of producer Errol Michael Henry and you’ll find a man in pursuit of aural perfection: a genius, never satisfied until excellence has been attained. And on listening to the Full Phat Remix of ‘Heartbreaking’, you are immediately engrossed in a conversation with its creator. Typically stripped back and understated at the beginning, the listener is allowed the space to build their expectations of what they would like to hear, and like any engaging conversation, by the end of the track you will find that you have been immersed in multiple concepts of sonics which slot together so perfectly they seem uncomplicated. To create such a seamless accomplishment in music-making was no easy task, so Errol formed The Sound Principle – a platform for his productions where he could creatively collaborate with of some of the foremost live musicians in the industry. 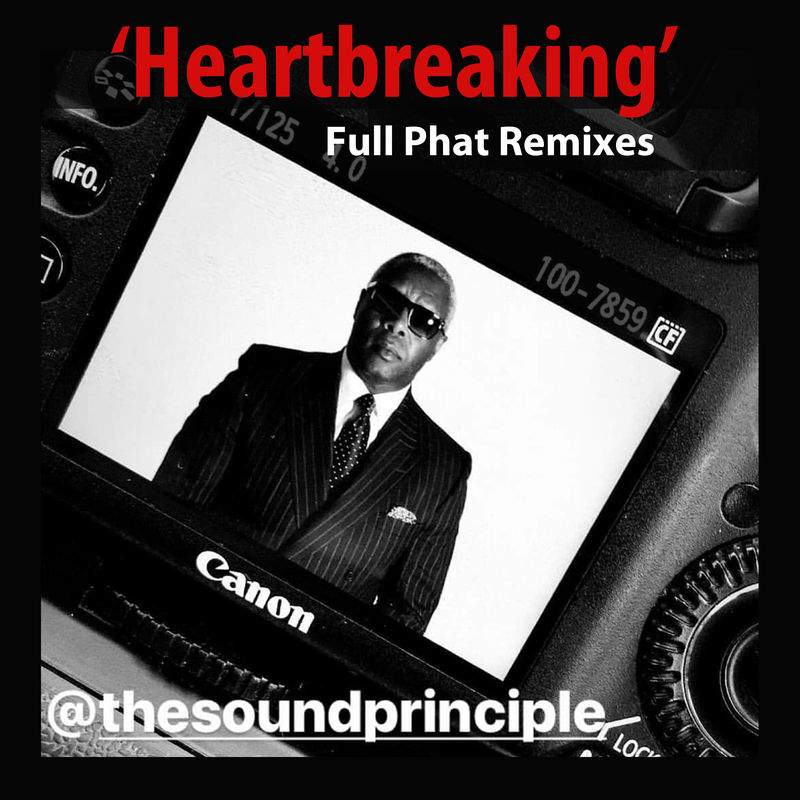 The ‘Heartbreaking’ Full Phat Remix utilises recording, production and mixing techniques rarely seen since the halcyon days when Quincy Jones, Arif Mardin & Maurice White strutted their funky stuff. Ask yourself why is the vocal hook so strong, yet Richard Anthony Davis’ voice doesn’t need to overpower the composition. Guitarist Andrew Smith delivers a masterclass in how to create a paradoxical performance that is clearly outstanding whilst essentially ‘understated’ in its essence. How many will appreciate the degree to which the two bassists John Thompson and Errol Michael Henry pushed each other to their limits throughout the track? Resulting in a series of compelling bass riffs and who could ignore the infectious percussion licks provided by Thomas Akuru Dyani which punctuate the rhythmic narrative. Hazel Fernandes demonstrates once again why she is considered one of the finest backing vocalists in the business: aided and abetted by Errol’s melodic keyboard playing. It is the culmination of these micro elements that collectively come together to make a track like this an exceptional classic to effervesce the airwaves throughout this summer and beyond. Heartbreaking Full Phat remixes are available from the i2 website and all premier online music retailers from Friday 27th July.